Nick Southall of sickmouthy.com is doing this neat Internet experiment where he’s asking people to keep an online diary of everything they listen to from May 7-13, and document it somewhere online. I started mine on Monday and will continue through the week. What am I really supposed to say about a classic? A timeless gem that’s only grown brighter through the years? A genre-shaping piece of work that’s only grown more cosmic through time? I’m just some guy in Pittsburgh, and here in front of me is “Dopesmoker,” the legendary ode to weed created by Sleep, a band that etched its name in history and broke off into several other titans of metal such as High on Fire, Om, and Shrinebuilder. How do I do this thing homage? Who needs a review of such an untouchable piece of work, such an influential recording that’s gone on to shape people’s lives, tastes, and musical careers? What can I really add to that conversation? No matter, I’ll give it a shot, and it would be silly of me not to acknowledge the reissue of this document, in stores today thanks to Southern Lord. 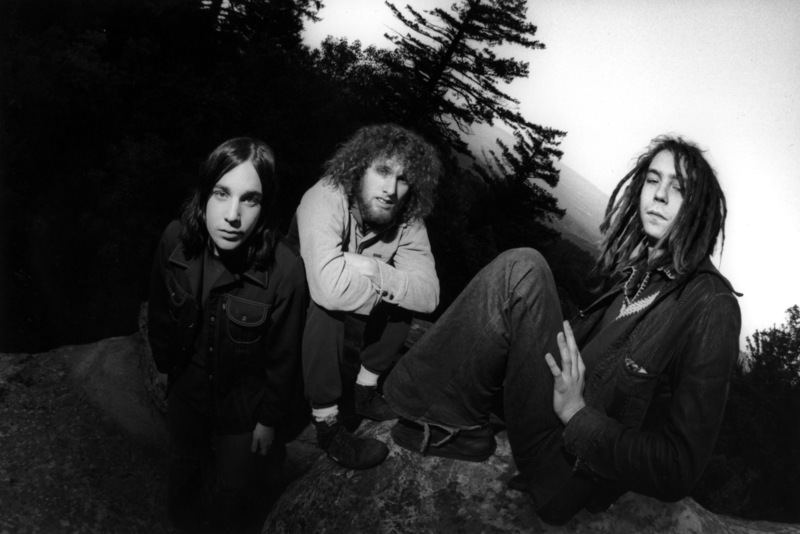 No matter how much bassist/vocalist Al Cisneros, guitarist Matt Pike, and drummer Chris Hakius (he was replaced in 2010 by Jason Roeder) accomplished in their bands since Sleep temporarily closed its eyes as a unit in 1999, everything went back to their stoner doom roots in the 1990s. Yeah, this band appealed to those who liked to go up in smoke and let their minds and spirits wander along with Sleep’s music. I never was in that camp. Unlike the name of this great effort, I never was a dope smoker, still am not one, and yet I still could get what these guys were reaching acting as a spectator. At least I think I can. I do indulge in strong beers and spirits, and I’ve found taking on this record, this 63-minute-long song works pretty damn well under those circumstances as well. Maybe it’s not what the guys intended, but it’s about the best I can do. For those who don’t know about the band or this album, or for those who have, you know, forgotten … for some reason … here’s a little history. After Earache put out the band’s killer 1993 opus “Sleep’s Holy Mountain,” Sleep’s profile started to rise. That album, by the way, was intended as a demo recording, but Earache thought so much of it, the label released it as is. Can’t say I blame them, as it, too, is a classic. From there, London Records signed the band but were not ready for what was delivered to them: a 63-minute epic that served as an ode to weed. They didn’t know how to handle such a bulky package and didn’t know how to present it to a public that was used to smaller, more radio-friendly chunks. Therefore, the band edited down their masterpiece into a 52-minute song, and it still got the thumbs down. Not long afterward, the band dissolved. The album, renamed “Jerusalem” and broken into six identically named tracks, eventually was released in a few different forms, none of which were authorized by the band. In 2003, Tee Pee finally put out the entire 63-minute piece called “Dopesmoker,” its proper title and finally with the band’s approval. But that wasn’t the end of the story. In 2011, Cisneros contacted Southern Lord about doing a deluxe version of the album with an enhanced production (remastered by Brad Boatright) and new artwork by Arik Roper, and quite obviously the label was thrilled. Now we have in our hands “Dopesmoker,” a pristine new version authorized by the band that both gives longtime fans an excellent copy of their finest work and also introduces new fans to this adventure in a proper, fitting manner. 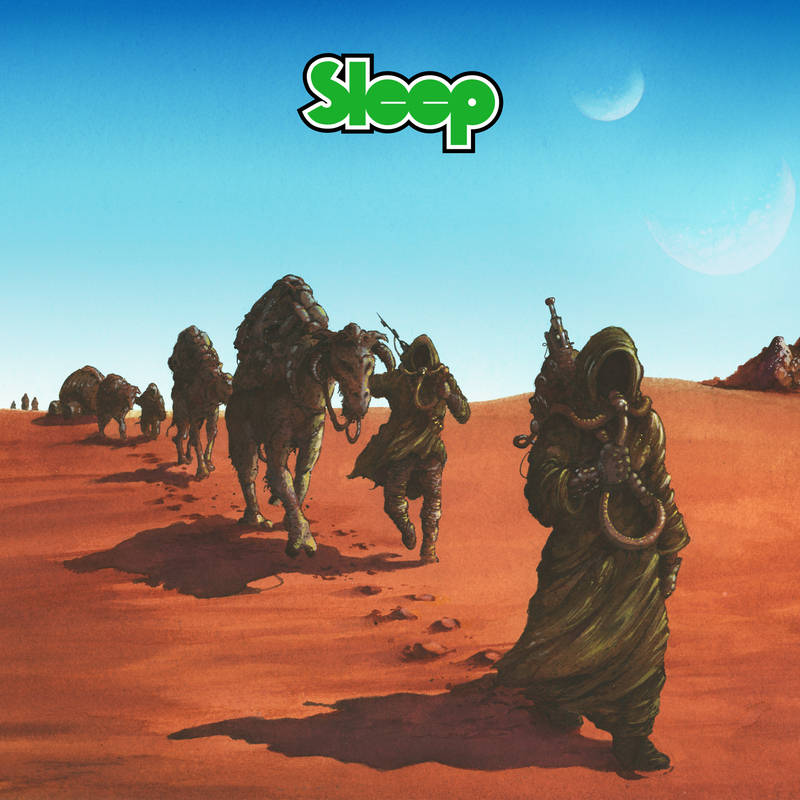 As mentioned, it’s tough for me to summarize or do justice to “Dopesmoker.” On the simplest level for those perhaps new to doom and drone, this is an essential recording. It’s the be-all, end-all of the genres. From the suffocating drone that opens the record, reminiscent of Sunn 0)))’s mighty drapery, to the astonishing bluesy licks and psychedelic soloing conjured by Pike, to Cisneros’ calculating chanting and growling, — his recitation of, “Proceeds the weedian, Nazareth,” is one of the most memorable passages of this pilgrimage –everything works like magic. The story and the craft work created by the trio sound and feel spiritual, and it’s easy, even with a clear head, to understand their devotion and adoration for what’s guiding their vessel. It goes without saying that it isn’t a record you can listen to in pieces in order to comprehend and digest. You need to set aside some time, and sure, if you want to enhance your mood to do so, you might get even more out of “Dopesmoker.” As noted, I’ve gotten on with it while drunk, and that helps me transcend as well. But do spend time with it and let the record spread its message. You owe it to yourself as a metal fan. Oh, a special goodie tacked onto the album is a 1994 live version of “Holy Mountain,” recorded in San Francisco. It’s super raw (at one point you can hear one of the guys ask for more guitar in the monitors), but it also envelops you like you’re standing on the floor in front of them, experiencing them in person. It’s a really cool treat. Maybe I didn’t add anything terribly substantial to the “Dopesmoker” conversation, but I look at this as more of a tribute to one of the great doom/drone albums of all time. I’ve enjoyed it and immersed myself in it from the time it was called “Jerusalem” all the way up to this stunning new version. It’s a must-have, must-know record, and no one is saying you have to dirty your piss in order to realize its magnificence. NOTE: If you DO enjoy Sleep’s music while your mind’s altered, make sure you stop back tomorrow. We’ve got something else that’ll get you there too from a band you might not know too well yet. So Nick Southall of sickmouthy.com is doing this neat Internet experiment where he’s asking people to keep an online diary of everything they listen to from May 7-13, and document it somewhere online. I did so yesterday on my Facebook page, but I figured a mini entry here each day would suffice, too. I’ll link up Nick’s site below. He asks that if you participate, to paste your link into the comments section of his entry. Make sure you come back at 1 p.m. EST for today’s normal discussion. Don’t sleep on it. Horrible hint, right? Here’s what I listened to May 7, 2012.